2:48 P.M.: Medivac: Casualties of War: Global News Portfolio: New Orleans based Photojournalist covering the Deep South and beyond. Global News Portfolio: Casualties of War: Medivac: 2:48 P.M. 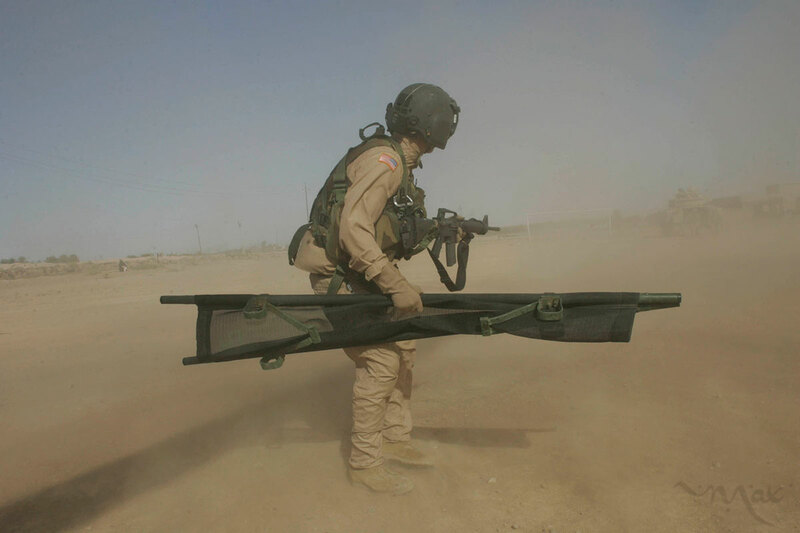 Crew chief, Specialist Brandon King unloads a stretcher as he provides security for Medic Elizabeth Shrode who has connected with the soldier on the ground to evaluate the patients. Medivac crews often land in hostile situations, so they strive to spend no more than 10 minutes on the ground. The crew chief monitors the loading and unloading of the aircraft and attempts to keep the pickup on schedule.